Retro-inspired paper party bags, featuring a gorgeous floral and polka-dot design. 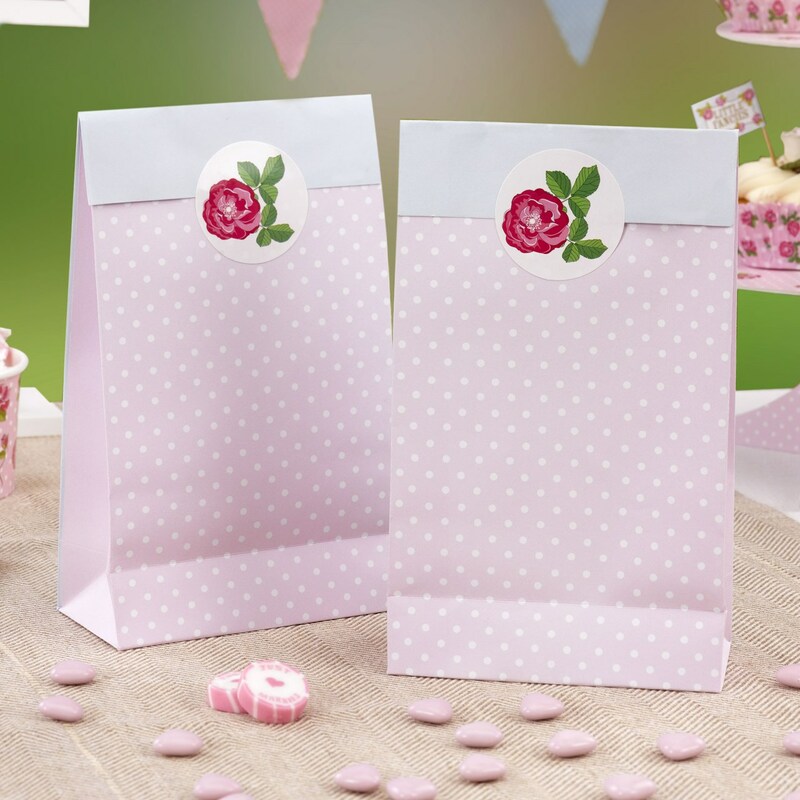 These party bags, part of the Vintage Rose range, are a charming way to offer your guests a parting gesture. Featuring a fold-over design, these elegant bags have a pink and polka-dot design and are secured with a pretty rose sticker. Each pack contains 5 Party Bags.